I wont be able to make this weekend as I will be up the coast. I'm still on 27MHz. Channel 08 - 27.145MHz. We may be moving the 'group fly' to Parramatta as its closer to everyone, still working on details. My main RC gear is on 36.070Mhz and 36.220Mhz for the heli. I also have a few RTF kits on various frequencies in the 27Mhz band. Channels 1, 3 & 5 from memory... It looks as if the first group fly will be over at Doyle Ground on the corner of Macarthur & Fennell Streets in Parramatta. The time is still being worked out but I estimate it will take place anywhere from about 2.00pm and possibly go until dark on Friday May 5th 2006. What type of planes do you guys normally fly in the park?? How about you list the planes or helis you have in your fleet that are still flyable or the ones that you fly the most. What's your favourite plane/heli, the one you get the most enjoyment out of?? Even the future planes your want to buy but now reside in your wish list!! I want to concentrate on indoor planes so probably another GWS PTM or another Heli. I have a GWS Corsair which is not flyable due to a pathetic attemp at low inverted flight. It is now basically a pile of styrofoam with servos and RC gear in there somewhere. I'll probably build another GWS warbird in the future, perhaps a P51 Mustang. Recently I've been involved with an indoor flying group and have been concentrating on that with the Tiger Moth, AR Heli and X-twin but at the park I usually fly the PTM, Slow Stick, ABC or the Cessna but not so much lately. My favourite plane at the moment would have to be the GWS Pico Tiger Moth. This little thing is such a sweet flyer indoors or out that I usually take it everywhere I go. It's kind of become my permenant "Plane-In-The-Boot"
My e-mail address is todd_nicole@hotmail.com and this is also my MSN Messenger account. We'll try to co-ordinate this thing on a semi-regular basis when most of us are able to make it. We can even try out several parks in the future until we find a central location that suits everybody. If anybody has any suggestions for a regular flying group either post it over here or e-mail. Parramatta is cool with me... For this Friday. A friend of mine who has been flying for a while and is pretty much a pro will be coming along to give anyone who needs some flying lessons. He is pretty cool at it and has a nice arsenal of planes. Wish I could fly for more than two mins without experiencing uncontrolled landing [&o]. Pretty sure the next plane will be a lighter Mugi. Hey Jaskel, where do you get replacement fuselages for the Ego Cessna?? I'll probably need a new one soon and $25.00 sounds like an excellent price!! 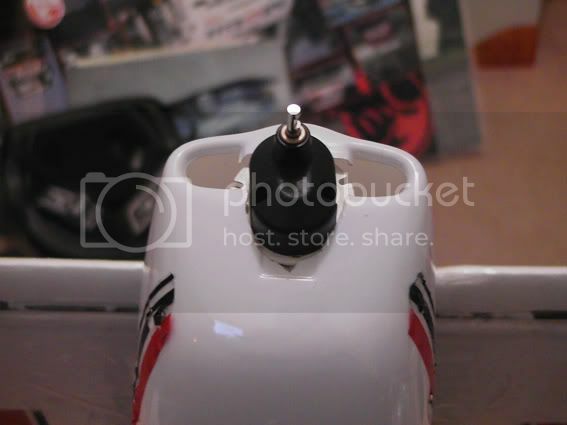 Try Hobby Pro in St Marys or Grahams Hobbies in St Marys or even Auswide Hobbies in Penrith (this is where i got mine from) they are 25/30 bucks...Ive gotta go pick up a new cowling from Hobby pro today...my geared motors should be in as well. Do you have a URL or contact details for Auswide Hobbies?? Nice one Jaskel, only $30.00 but no stock at the moment. He said it'll only take a day or two to get one in for me so I placed one on order. Give them a call Toyman, you'll be back in the air in next to no time... Although, that foam really glues back together well with some 5 minute epoxy and seems to be stronger than it was before the repair. My fuse is pretty beat up though, probably beyond repair but it still flies OK so when it finally gives up the ghost I'll have a ready replacement waiting to go. H-Store at Miranda carry the cowling for the Ego Cessna too, $6.00 each and they've got them in stock now. try hobby pro for the fuse..they ussually have heaps of stuff in stock. I think there is 4 of us so far? And also what time guys? Anytime after 2.00pm at the childrens playground end of park. I'll be there, though the way its going I may have two planes and no motor's. Ill pop down about 2..i may have my little glider there but my motor is still not ready on the cessna.. Fantastic, I'll probably be there somewhere around 1.00pm - 1.30pm as I want to trim out a couple of the planes I haven't flown in a while so let's pray for some great flying weather with low winds and not too many people in the park on the day. Hey Jaskel, why don't you bring along your Cessna with the old motor (I think it was you who was having the motor problem with the Cessna 182) and we'll test it to make sure there's no problems with it. I'm also going to bring along a few of my park flyers, and like your friend, I'm also happy to give a few tips, instruct a bit and try to pass on whatever knowledge I've picked up in my two short years of being a self-taught RC pilot. I even have permission from the wife to come over on Friday, and the kids wont be coming either so hopefully I'll be able to get in a good couple of hours of solid flying without any distractions. Hey Jon, how's the repairs going on your Cessna?? Hopefully you'll be back in the air by Friday. I'm really looking forward to seeing this "Mugi thing" you've been talking about. Sounds like a real interesting project. I'll see you guys there, the more the merrier... I'll be driving either a white Magna sedan or a blue Mazda 323 hatch. Either way it'll be pretty easy to find me as there'll probably be a couple of wings protruding through the side window!! I noticed that it looks like you've taped up the plane with clear packing tape, at least on the wing. Looks as if it's saved you from a fatal collision with something on the left wing!! 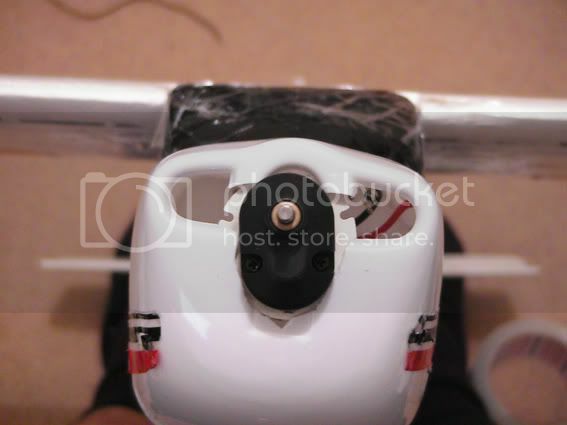 yeah the whole plane is taped....saved me heaps of times...while it doesnt look as nice taped up it does the job...yeah that was a hit to a tree with the wing. The shaft is 3.5mm need to find an adapter to suit...can you suggest any hobby shops?? Not really, like I said I've had no luck finding prop adaptors. You may have some luck with Ebay!! ...or even the place where you bought the geared motor!! 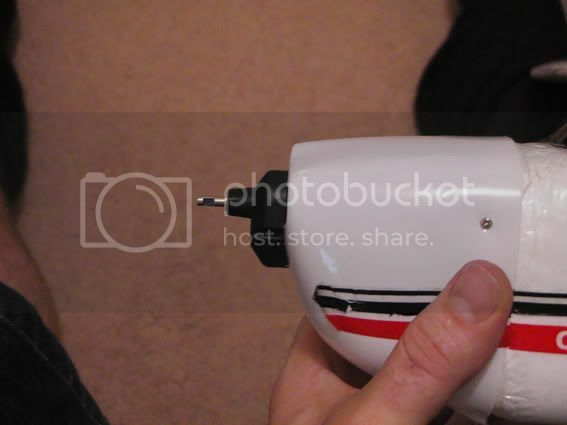 [link=http://hobbiesinthehills.com.au]hobbies in the hills[/link] have a few Prop Adapters as do Hobbypro in St Marys, but dont buy the 3.2mm adapter as I'm on the way to Hobbypro get it now . Hobbies in the Hills are the biggest bunch of A HOLES ive ever met, they never want to help you and if they do its such an effort for them...WAYYYYY over priced too. When ya go to hobbie pro see if he has a 3.5mm adapter thats what i need but no one has them. I will be there in green civic and friend in black wrangler. He will be bringing his park flyers. I am missing two dam motor holders so i hope i find them in time. I will be bringing my plane none the less and trying to get in a good flight. Looking forward to it. I will be there around 2 as i need to spend the first half of the day sticky taping and fitting the prop. Exactly how much force is needed to push the prop into the motor shaft! im worries about ruining the motor shaft and making it loose. Also today i realised i had soldered the diode on incorectly even after all the warnings. i tested it and motor stopped. corrected the mistake and i think its ok now.. only problem it feels like there are only 2-3 differnt speeds on throtlle. hope im mistaken and there is no problem.. I'll bring a spare diode with me. 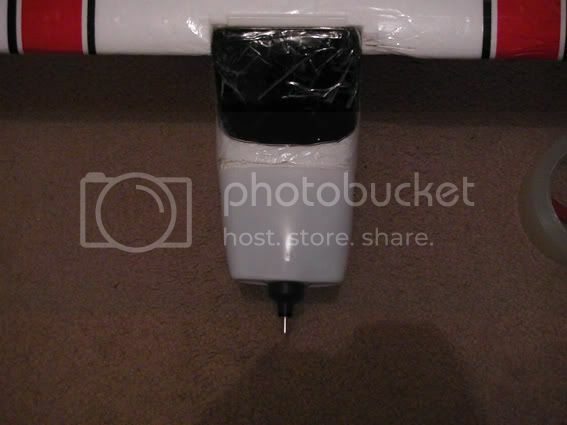 If you pull the Prop assembly apart like the pic I sent and it still wont go on easily, then you will need a different Prop adapter as the new motor has a different size shaft.